Most iPhone and iPad users believe that a stock iOS device cannot be customized. Sure the stock iOS may be the least customizable operating system out there and certainly cannot be compared to jailbroken iOS, however it does not mean iOS does not have a few tricks up its sleeve that you may not have heard about. In this list we have gathered 15 cool and weird iPhone tricks that most users out there are not familiar with. These weird iPhone tricks allow users to customize and personalize their iPhone in ways that many people don’t think is possible. This article will also highlight some of the hidden iPhone features that a lot of iPhone users don’t know even exist. So without any further ado, let’s take a look at 15 weird iPhone tips that every iOS user should know about. This is more a trick than a feature and can be very useful for users who like to have minimalistic look on their iPhone’s home screen. You can actually create ‘nameless’ app folder on your iPhone by following a simple trick. All you need to do is copy a braille character (available here) and paste it as the folder’s name. That’s it! Once you do, you will have a folder with no name that works like any other normal folder on your device. You can have as many nameless iOS folder with this weird and fun iPhone trick. Don’t like your iPhone’s camera notch and want to hide it? Then we have got a badass iPhone tip for you. You can hide the notch by using a cleverly designed wallpaper. Since the iPhone X, iPhone XS and iPhone XS Max all have OLED displays (sorry XR users), when you use a dark wallpaper or a wallpaper that has a dark top, the notch blends into the screen creating the illusion that its not there in the first place. You can hide your iPhone’s notch by using a readily available notchless wallpaper or you can create your own notchless wallpaper by following our tutorial. iPhone has a hidden feature that allows users to get alerted of incoming messages with the help of their device’s camera flash. When the Flash on Silent feature is activate, instead of ringing a tone or vibration, the device’s camera flash blinks whenever a new message arrive. You can turn this feature on by following the few simple steps below. Open Settings and go to General. Then go to Accessibility and scroll down, next tap on LED Flash for Alerts. Turn on the toggle for LED Flash for Alerts. Next make sure toggle for ‘Flash on Silent’ is on. By downloading the free YouTube++ app you can unlock features in YouTube app that are not available without YouTube Red subscription. The best thing is you don’t need to be jailbroken in order to install the YouTube++ application. You can download it by first downloading the http://AppValley.VIP store on your device and then downloading the YouTube++ app from there. With YouTube++ you can enjoy features like ability to download videos and audio, YouTube background audio, no ads and more. You can also sideload it by following our YouTube++ installation tutorial. If you hate the iMessage app bar, then you are certainly not alone. The always present iMessage app bar can be very annoying and take up space on your screen unnecessarily. Thankfully this next one on our weird iPhone tips and tricks list will help you get rid of it. To hide the iMessage bar all you have to do is open an iMessage thread and then tap and hold on the grey App Store icon. Keep your finger on the button for 2 seconds and then release. The bar should disappear right away. You can get it back by tapping on the App Store button again. Next on our list of cool and weird iPhone tips and tricks is ability to hide message previews. You can boost your privacy by hiding the previews for incoming messages. By turning off a simple toggle you can stop the message previews from appearing on the lockscreen alerts. When this setting is enabled you will only get the name of the sender, while the content of the message will only appear once you have unlocked your device with a Touch ID or Face ID scan. 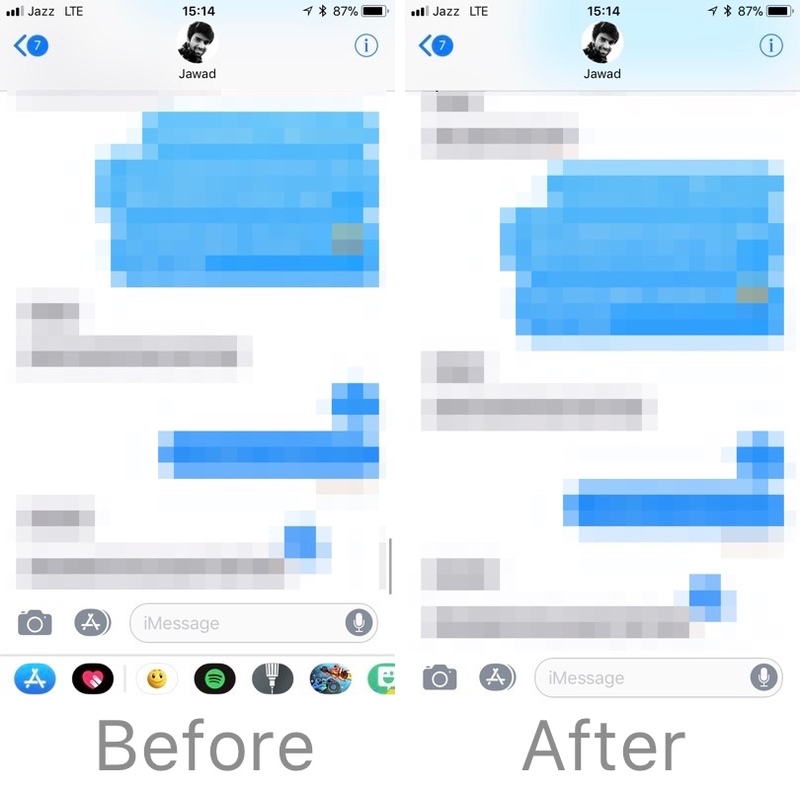 You can hide message previews on your iPhone by following the steps here. This is my favorite cool and weird iPhone trick on this iPhone tips and tricks list. In the messages app you can actually mute certain people or groups without actually deleting them. Once you have muted a person or group you will no longer receive notifications for new messages. You can mute any thread by swiping right on it from the Messages screen and hitting the ‘Hide Alerts’ button. You can also mute a thread by opening it, then tapping on the person’s name, hitting the ‘Info’ button and finally turning on the toggle for ‘Hide Alerts’. You know it is possible to clear an iPhone’s RAM, right? You can clear an iPhone’s RAM to boost its performance as well as kill a problematic process. All you need to do is follow a few simple steps. In order to clear an iPhone’s RAM you just have to tap and hold until the ‘Slide to Power Off’ slider appears, once it does instead of swiping all you have to do is tap and hold the home button. Upon doing so your iPhone’s screen will flicker for a second and you will be returned to the homescreen. On new iPhones such as iPhone X, XS, and XR you can follow these steps to clear RAM. New models of iPhone and iPad lack the home button, and force users to swipe up if they want to return to home and perform other Home Button related actions. If you don’t like this and want to add a good old home button to your iPhone, then there’s a workaround. The weird iPhone trick is you have to add an on-screen home button to your device. A detailed tutorial on how to add a home button to an iPhone or iPad is available here. A dark mode has been the most requested feature for iOS users, however Apple continues to ignore its user base. What many users don’t know is there is a hidden dark mode found within iOS 12 that enables users to get a good looking dark mode on their device. This dark mode works great with most system UI, stock apps and many popular third-party applications. You can learn how to activate iOS’s secret dark mode on your iPhone by following our dark mode tutorial here. This is my certainly my favorite iPhone trick that every user should know about. Apple has removed the wish list feature from the App Store app, which makes it super annoying for those who used to love this feature. 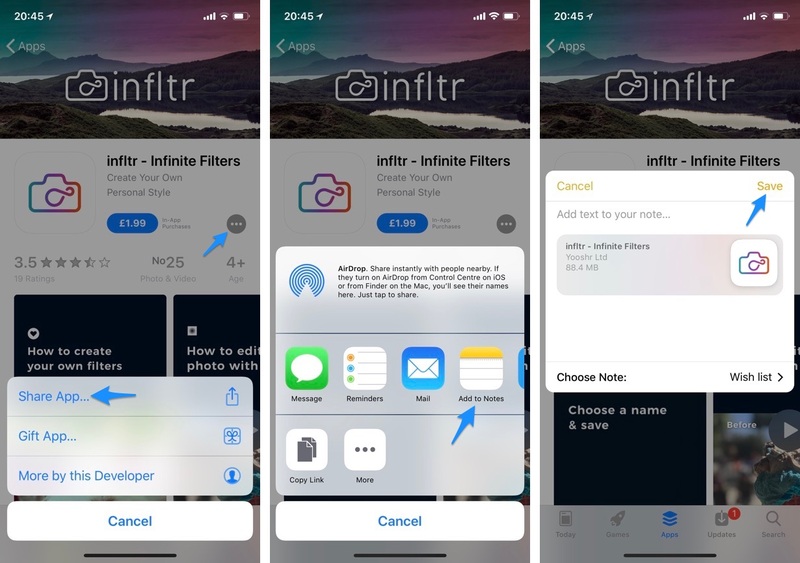 If you want to have an app wish list feature without downloading a third-party app, then we have got you covered as this next weird iPhone trick will help you in doing just that. You can use the Notes app for creating app wish lists. You can add apps to your wish list by tapping on the menu button on the app’s description page and then tapping on the ‘Share App’ option. Then simply tap on ‘Add To Notes’ option to add it to your wish list. Deleted a photo you didn’t mean to? You might still be able to recover it using the Photos app’s recover feature. 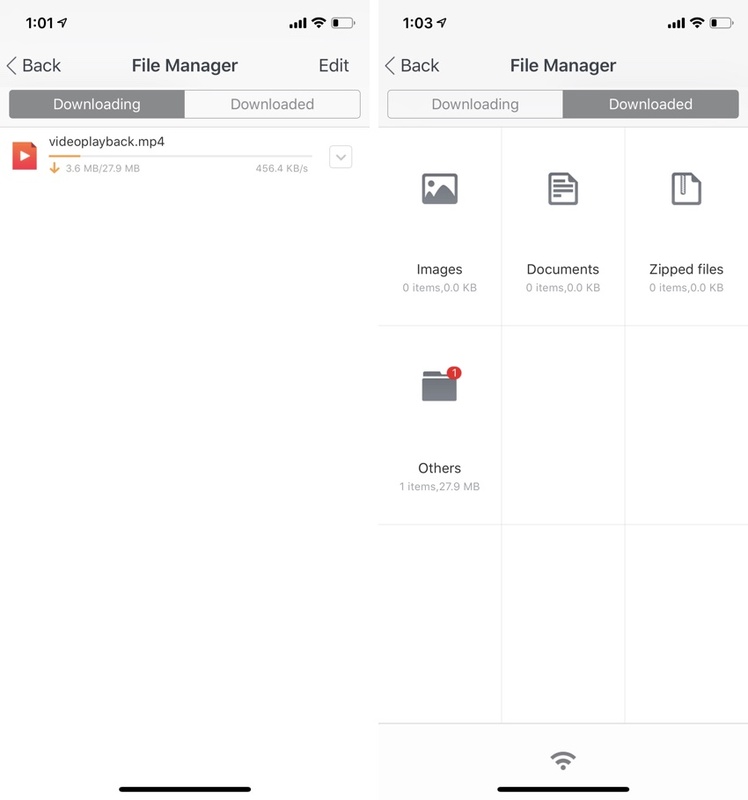 When you delete one or more photos it gets removed from your photos library, however it stays on the device for 30 days after which it is completed removed. You can recover the deleted photos if you act within these 30 days. The deleted photos can be found on ‘Albums’ page. Simply scroll all the way down and then tap on the ‘Recently Deleted’ option. Select the photos you want to recover and finally hit the recover button to restore them. This is one of those iPhone tips and tricks that can be super useful in certain situations. Don’t know your own Wi-Fi’s password or don’t want to tell it to someone? iOS 12 has got you covered with its easy Wi-Fi Password Sharing feature. With this feature you can share the password of the Wi-Fi network you are connected to by simply bringing another iPhone close to it. While the Wi-Fi password screen is open on non-connected iPhone and both iPhones are in close proximity, the connected iPhone will show you a notification asking whether you want to share the Wi-Fi’s password, simply confirm and the other device will automatically connect to the Wi-Fi network. Complete tutorial is available here. Don’t want to download unauthorized YouTube++ app on your iPhone? You can still download YouTube videos on your iPhone or iPad by using the UC Browser application. A complete tutorial on how to do this is available here. Many iPhone users are not aware that they can set custom Animated Live Wallpapers on their device. This is one of the coolest weird iPhone tips that can help you in having a lot of fun. A complete step by step tutorial on how to set animated live wallpapers is available here. There you go folks, these are some of the cool and weird iPhone tips and tricks that you should know about. What do you think about these weird iPhone tricks? Do you know any tricks that others should also know? Let us know in the comments section below.